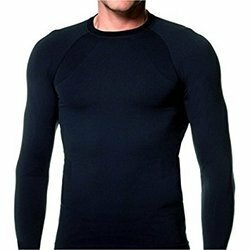 Wholesale Trader of a wide range of products which include full sleeves compression top, full sleeves polyester compression top, men tights, men's compression half tights, compression capri and active compression cycling shorts. 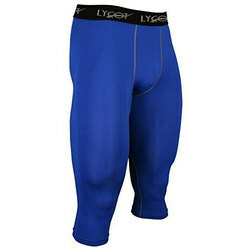 We are a leading Wholesaler of Mens Tights. Polyester 92%, Spandex 8% - Smooth and Ultra-Soft Fabric that provides extreme comfort with very little weight without restriction - Machine Washable. Quick and Dry Transport System - Wicks Sweat away from the body, keeping you cooler and drier. Workout or Compete for all weather sports and activities - Cool in Summer and heat retention in winter. UPF 30 - Protects your skin from the sun's harmful rays. We are a renowned organization involved in providing a premium quality collection of Active Compression Cycling Shortsto our clients. We have crafted a strict foothold in this domain for offering a premium quality collection of Active compression Full Tights to our customers. 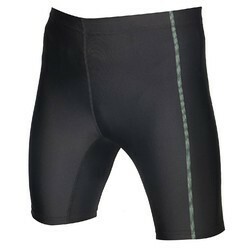 We are offering a wide gamut of Active Compression Padded Cycling Shorts in the market. 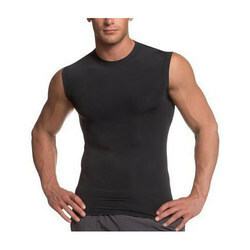 Compression Crew High Performance Moisture Wicking Crew Shirts. 3 Compression Shirt Styles: Short, Half Long Sleeve. 80% Polyester, 20% Spandex, 5.0 Ounces/Square Yard 4 Way Stretch provides Moistutre Wicking, Odor Resistant, Stain Release. Shirt/Undershirt worn by Athletes Training, Football, Baseball, Soccer Players and all Athletes in High Performance Sports. 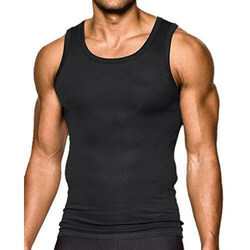 We are a leading Wholesaler of Sleeveless Compression Top. Looking for Compression Wear ?